This is a letter to those of you who dread the thought of going to the dentist. We know there are a lot of you out there, and we really and truly empathize with your concerns. 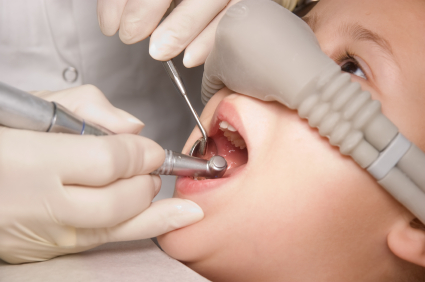 Fear of the dentist is known as odontophobia, dentophobia, or more casually as dental anxiety. As dental professionals, and not mental health professionals, our focus isn’t as much on why people are afraid of the dentist, but instead on what we can do for those who are, so that they can receive compassionate and effective treatment. Scare tactics involving the threat of gingivitis, tooth decay, or grisly dental procedures are not effective ways to relieve dental anxiety, so you won’t see us using any of those methods here. They can be quite effective on a dental patient who doesn’t suffer from anxiety, but it is important to remember that some studies estimate up to 75% of dental patients experience mild to severe dental fear. So it’s actually more likely for a person to be uncomfortable with the idea of being in a dentist’s chair than not. We’ve said it before, and we’ll say it again, “We Cater To Cowards!” If you’re more comfortable going bungee jumping than going to the dentist, we’re the ones to see. We would never judge or criticize anyone for having dental anxiety. So no matter the reasons for why you may suffer from dental anxiety, we understand that your concerns and fears are absolutely valid. That isn’t to say that it’s good to be afraid of us, but rather that if you are, there’s no need to be ashamed of it. And you definitely don’t need to avoid the dentist because of it, either! We want to help you manage these fears and to be able to conquer them when you make your next appointment. 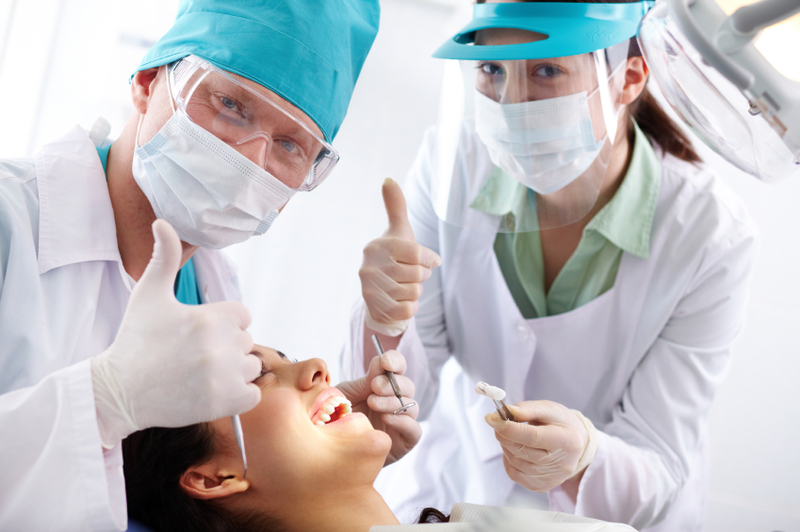 The idea that you might dodge your biannual visits, even when in dire need, is one of the major reasons why we have made so many advancements in sedation dentistry over the last few decades. We want you to maintain regular trips to the dentist not only because it’s our job, but also because so much of a person’s overall health depends on their oral health. So let’s break down the options for you. First of all, what do we actually mean by ‘sedation dentistry’? On our site, we break it down into a few categories, namely Conscious Oral Sedation, IV Sedation, and Nitrous Oxide Sedation. Conscious oral sedation can refer to a few different things, but typically consists of taking one or two pills, either spaced out at intervals or right before your procedure. This can relax you and make you more comfortable during the appointment, or it can actually put you into a semi-conscious state, depending on what you prefer. Those who choose the second option typically have little or no memory of the visit, so it is essential to have somebody else take care of your transportation for the day. The transportation concern is also true for the second option, IV sedation, which involves intravenous delivery of the medication — and yes, we are aware of the irony of suggesting a needle as a way for people to deal with their fear of needles/drills/etc. In the event that someone wishes to opt for IV sedation, but also has an issue with needles, a judicious use of oral sedation beforehand can soothe the nerves and make everything much more comfortable. This option will ensure that you drift comfortably off and then awaken only when everything is all over, with no memory of it whatsoever. Although it is typically only recommended for moderate to severe procedures, it can also be an option for those who have extreme anxiety issues concerning dental work. Lastly, we have nitrous oxide. We suspect that many of you are probably familiar with nitrous oxide’s more common name, laughing gas. And although it won’t actually make you break out in a fit of giggles, its calming and relaxing effects work wonders for relieving tension and anxiety in most people who have used it. It is exceptionally safe, quick-acting, and short-lived. To administer, the dentist or dental assistant will put a small breathing mask (typically only covering the nose, so that work can still be performed in your mouth) in place and all you have to do is breathe normally. You will be able to feel the effects within 30 seconds to a few minutes, and will have the ability to request that the strength be increased or decreased, depending on your level of comfort. This method of sedation can be used on its own or in conjunction with various forms of oral sedation. It’s miserable worrying about your teeth. But not being able to do anything about it because of a phobia just adds more misery to the equation. We understand that almost no one enjoys going to the dentist (but you’ve got to admit that the feeling you get after a cleaning is pretty spectacular), and we also understand that communication and information are the best ways to get our more reluctant patients in the door. Skipping visits can increase the chances of small issues developing into larger ones, and can increase the chances of things like oral cancer or gum disease going undetected. We’re skirting scare tactics territory here, so suffice it to say that the old maxim of ‘an ounce of prevention is worth a pound of cure’ is perfectly apt when considering dental care. And hey, we don’t even need to focus on the negatives! Just think about how good you feel after hearing the dentist say, ‘Everything looks great. Nice work!’ Imagine being comfortable enough to get your dental work done and to have that winning smile you’ve always wanted. It’s an incredible feeling, and a well-deserved one. In addition, your improved self image and positivity extends beyond the cosmetic. Did you know that there are numerous articles and studies available that show a direct correlation between oral health and overall health? Healthy mouth, healthy you is the message, it turns out. You’ve got to spend the rest of your life with your teeth, and if you treat them well they’ll do the same for you. If you are terrified of the idea of visiting the dentist, reach out to one of our clinics and ask them about what kinds of sedation they offer, and whether they think your level of dental anxiety is manageable in their facility. There’s no harm in asking, and no commitment required. Our receptionists are familiar with the difficulties many people have with dental anxiety and will patiently explain your options when you let them know about your concerns up front. The most important thing to us is your comfort and satisfaction, so give us a call and let us help.